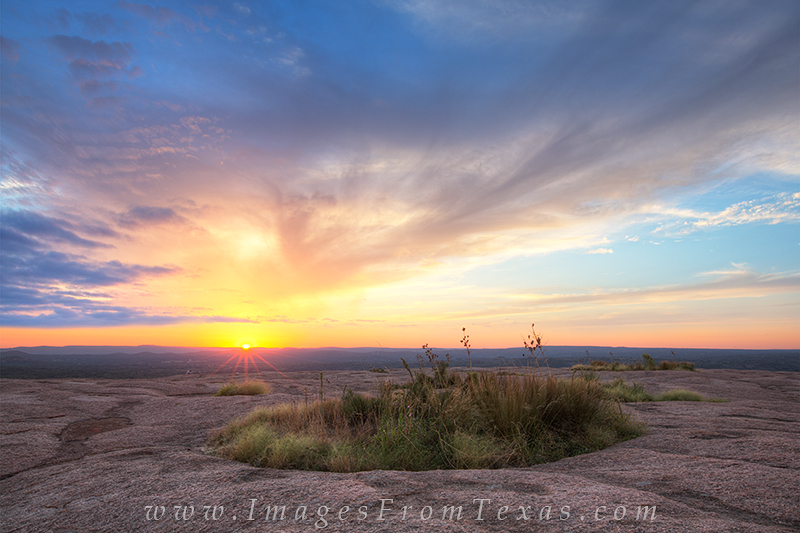 Enchanted Rock is a great place to take in the sunrise on a fall morning. Here, beautiful clouds spread across the sky as the sun broke the horizon, filling the Texas Hill Country with soft light. Photo © copyright by Rob Greebon.